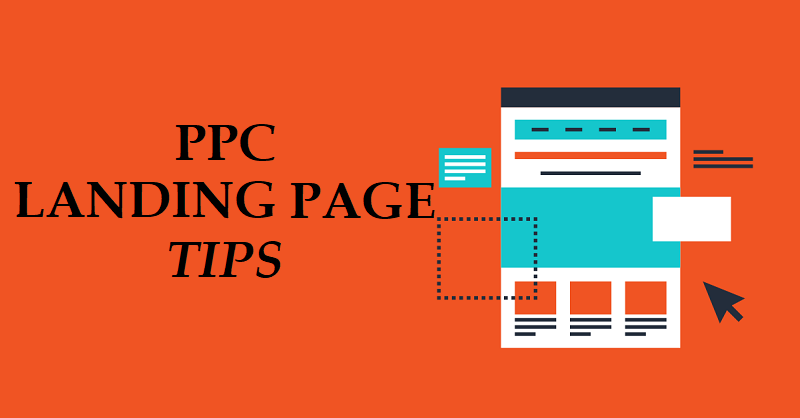 Most PPC pros recognize the importance of landing pages in their post-click paid search strategy. But the question still arises about how targeted these pages need to be. When is the time and effort of creating dozens — or even hundreds — of ultra-targeted landing pages worth the trouble and expense? Admittedly, the answer will differ for every AdWords campaign. But recently, we walked this path with a client in a big way, and we discovered that sometimes the trouble and expense of creating ultra-targeted landing pages is more than justified. In this article, I’m going to present our findings to you as a mini-case study. And our experience may encourage you to create landing pages that are much more targeted than ever before. This case study is for a client who came to us in 2010. The client’s business is organizing and facilitating special corporate events. At the time, they were providing services to about 10 metropolitan areas. So we set up geo-specific landing pages, with one landing page per city. Over the next while, we stayed laser-focused on these city-specific landing pages, using tight keyword terms that helped us boost the client’s quality scores as they had been extremely low at the start of our engagement. In 2011, our client suggested adding videos to these landing pages, and we agreed to test them. We discovered that the landing pages with videos declined in performance, so we removed the videos from them. As performance remained strong, the client wanted to develop the account to target many more cities, to eventually triple — and even quadruple — the number we had started with. With the prospect of the number of landing pages increasing significantly, creating so many city-specific landing pages — and managing them — seemed daunting. 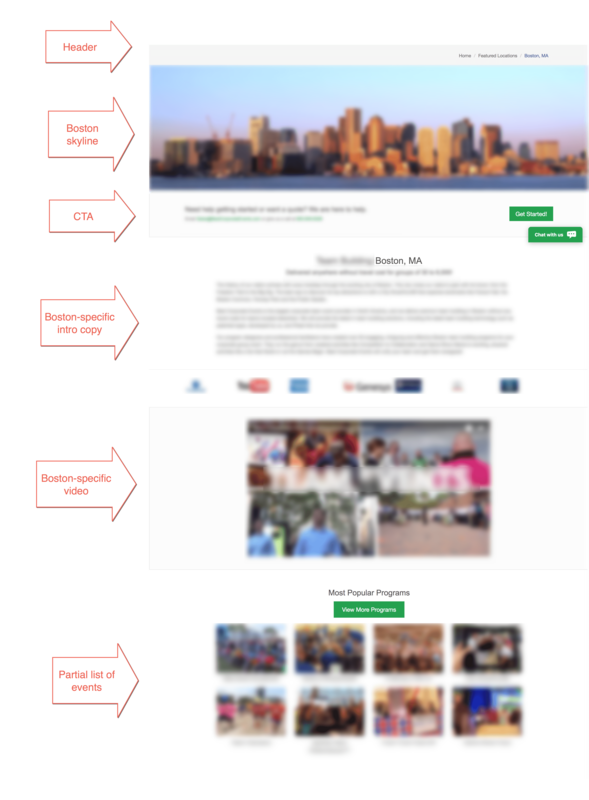 So, we switched from city-specific landing pages to landing pages that focused on service offerings. We felt confident in doing so because quality score was no longer an issue and performance remained strong. It was also standard industry practice at the time. Our confidence was justified as performance remained strong after the switch. We were now using one national page that covered the events offered. The advantage of this approach was that these pages remained easy to manage even as the company expanded from 10 metro areas to 50. We stayed with this strategy for the next four years, testing little adjustments along the way. Results remained solid. Moving From Service-Specific Back to Geo-Specific! But in 2017, we disrupted this approach again! We decided once again to test city-specific landing pages and give videos another try. So we created a few city-focused landing pages, including city-focused videos. To our amazement, we saw a 60 percent lift in the cities tested! The improvement was too large to ignore. So, with our client’s agreement, we created city-specific landing pages — with city-specific videos — for every metro area the client served. That’s 50 landing pages! Creating these videos was a big task for the client, as they had to make about 50 of them. It was a lot of work. It took the client and my team a year to complete everything and get the landing pages live. We were very pleased with the results. Overall, the client’s performance is up significantly YOY, and the new landing pages are a big contributor. But we didn’t stop at landing pages. In addition to testing campaigns for the new landing pages in isolation, we also tested other changes and updates in isolation. Once we saw the positive results of our tests, we eventually rolled out these changes to all campaigns. And the account’s performance skyrocketed as a result. Often, pre-click PPC elements garner more of our attention than post-click. Keyword selection and ad design, in particular, are often the subject of great debate and analysis. But the importance of post-click elements, such as landing pages, shouldn’t be underestimated. As we’ve demonstrated, they can have a massive impact on your campaigns. So give them as much attention as your pre-click elements. The world of paid search is rarely static. And of course, technology changes and businesses evolve at the same time. As a result, things you’ve tested previously — and that didn’t perform well — shouldn’t be written off forever. When you hear someone say, “We tried that before and it didn’t work,” ask exactly what was tested and when. Because it never hurts to test again. And you may find you get very different results. This was certainly the case in this example. 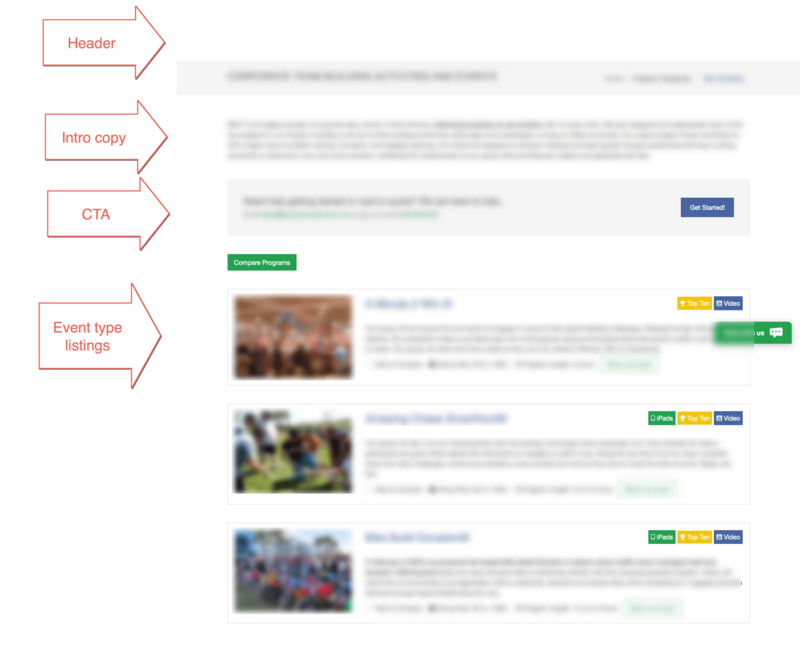 When we tested landing pages with videos before, they performed worse than pages without videos. But when we tested them again, several years later, the reverse was true. What explains the difference? It’s impossible to say for sure. But what’s important is that we discovered the change and used it to our client’s advantage. One of the most encouraging things about this case study is that it’s not fancy. We weren’t using revolutionary PPC strategies to get these results. Rather, we were using PPC basics. There’s nothing in this strategy that couldn’t be replicated by any PPC pro with the necessary resources. Sometimes, there’s a general feeling in paid search that B2B PPC is boring as compared to B2C PPC. But that’s not true! And this case study proves it. How Targeted Should Your Landing Pages Be? So how targeted should you make your landing pages? Based on this case study, I think the answer can only be this: As targeted as you need them to be.